How Data Storage Is A Great Backup Plan? How Data Storage Is a Great Backup Plan..? Data Storage is the recording or storing of Information (data) in a storage medium. Different types of data storage play different roles in a computing environment and it is a Great Backup Plan for your important data. To form hard data storage, there are now new methods for Remote Data Storage also, such as cloud computing, that can transform the ways that users access data. Now a days, investing in data storage is a necessity for most small as well as large businesses. Your electronic data is growing fast, and protecting this data is very important to business continuity. An Electronic Data is a precious thing for any business and will last longer than the systems themselves. So it is very important to any company or organisation to Store it safely. 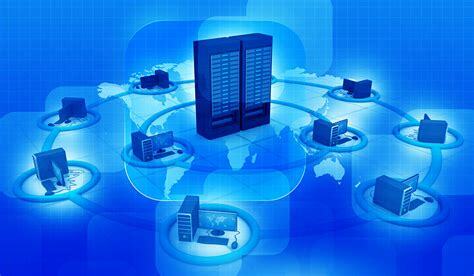 What Is Role of Data Storage in Business..? A digital, machine-readable medium is also called as digital data. Computer data storage is one of the core functions of a general purpose computer in any business or industry. Electronic documents can be stored in much less space than paper documents hence it plays an important role in Business Security. There is one common difference between forms of physical data storage is between random access memory (RAM) and associated formats, and secondary data storage on external drives. Following is the list of some popular types of Storage used for Data Backup. External hard drive are the hard drives similar to the type that is installed within a desktop computer or laptop. They can be kept in to the computer or removed and kept separate from it. It is very good option for local backups of large amount of data and cheapest storage option. Solid state drive externally look like a Traditional mechanical or magnetic hard drive but internally it is totally different. SSD have no moving parts and that they use less power than traditional hard drives and are much faster too. Network-attached storage (NAS) is a file storage that enables multiple users and heterogeneous client devices to retrieve data from centralized disk capacity. Users on a local area network (LAN) access the shared storage and NAS devices typically do not have a keyboard or display and are configured and managed with a browser-based utility. Top brands that provide NAS Storage devices are Dell EMC, HPE, NETGEAR, QNAP, Synology etc. Storage Area Network (SAN) is one of the common storage networking architecture used by enterprises for their business-critical application to deliver high throughput and low latency. SAN helps businesses by storing data in centralized shared storage, SANs enable organizations to apply consistent methodologies and tools for security, data protection and prevention, and disaster recovery. Nimble, HPE, Dell EMC etc. are the top brands that provide SAN Storage devices. Cloud Storage is the storage of data online in the cloud and made available to users over a Network. It store data on the internet through a cloud computing provider who manages and operates storage as a service. With the use of cloud storage there is no need to purchase any hardware and you can add or manage storage on demand. There is availability, Security and durability with Cloud Storage. How Storage Devices Helps to Secure Your Data..? Data Storage mainly done through different common devices such as Random Access Memory (RAM), Read Only Memory (ROM), Hard Disk Drives, Floppy Disks, CD-ROM, Writeable CD's, Digital versatile disk (DVD), Direct and serial access, File Compression etc. There are many big data storage options depends on demand capacity and processing/IOPS performance. A range of choices exist such as scale-out NAS, object storage, hyper scale and hyper-converged storage etc. What Are The Importance of Data Storage…? Data is a precious thing for any company and will last longer than the systems themselves. Data on your PCs, laptops, and smartphones or other personal devices can be hard to manage. Hence it will need to store for further use. Businesses uses the same storage options as the biggest corporations, but that doesn’t mean those options are necessarily appropriate or economical for you. There are many ways of Data Storage such as Network attached storage, Storage area network, Virtual storage, Cloud etc. Unlike a general-purpose file server, a network attached storage device, is an appliance that is built with hardware and software specialized for storage. It is the simple option for small companies to set up and manage. Virtual storage is good for companies that have multiple on-site servers, including NAS devices. This type of storage combine multiple storage devices into a single, virtual storage resource. Data Storage is usually used to describe the devices and data connected to the Network or Computer through input or output operations, including hard disks, flash devices, tape systems and other media types. Benefits like No data loss, Security, Data Easily Moved etc. are due to Data Storage. Most of businesses uses data storage devices to secure and storing data. Data recovery is also done through online data storage activity hence it is more important for businesses.